Cool! 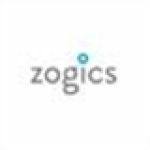 Save an average of 20% on zogics with 3 Coupon Codes, and 3 Deals! Zogics is a leading manufacturer and distributor of disinfectants and eco-friendly air fresheners. Products include gym equipment wipes, hand sanitizers, external defibrillators, natural air fresheners, green seal dry paper products, degreaser handwipes, and more. It supports environmental organizations. Visit the site and grab more of the promos offered. Details: Get 5% off disinfectant & deodorizer. Details: 33% Off Elkay EZ H20 Bottle Filling Station, LZS8WSLK + Free Shipping on Orders Over $699 Within Continental U.S.